Origanum vulgare is an herbal plant that has been used as food flavoring agent in many countries [Figure 1]. It has strong antiseptic and antimicrobial activity due to the presence of carvacrol and thymol, both phenolic compounds which directly inhibit germination and hyphal formation in Candida. Its antifungal actions have been found to be similar to nystatin and amphotericin B. A study in mice has shown to cure systemic candidiasis on a daily oral administration of 1.0 μl of O. vulgare essential oil for 30 days. In human beings, the antifungal activities of O. vulgare have been studied against the Candida isolated from sources of various systemic conditions.,, However, no study is available in the literature that has explored its possible anti-candidal activity against oral isolates of Candida that cause CADS. Hence, O. vulgare was chosen to characterize its antifungal effects on oral isolates of Candida from a denture wearer with CADS. The organisms were collected from the patients affected with CADS. The essential oil was extracted from the leaves of the plant, and the antifungal activity was confirmed using well diffusion method against Candida species. The efficacy of two extraction methods, hydrodistillation and maceration, was compared. The minimum inhibitory concentration (MIC) and minimum fungicidal concentration (MFC) of the herb were determined according to the Clinical and Laboratory Standards Institute (CLSI) guidelines. The active functional group in the experimental herb was identified as a compound similar to carvacrol through infrared (IR) spectroscopy method. Ethical clearance for the study was obtained from Central Ethical Committee of the University. The procedure was explained to the patient in his/her mother tongue and a signed consent was obtained. Swabs from the tissue surface of the maxillary denture were taken from the patients who showed clinical symptoms of CADS. Speciation of the Candida from the clinical samples was done, and they were further subcultured on Sauboraud Dextrose Agar (SDA) twice to confirm pure isolation of the yeast. The different species of Candida were first identified by Gram staining and later on confirmed by germ tube test, corn meal agar for chlamydospore formation and Chromagar, and other biochemical tests. Chrome Candida differentiation agar was used to differentiate Candida species. Chromagar for differentiation of Candida (Himedia, Mumbai, India) was prepared following manufacturer's instructions. C. albicans was differentiated as the colony exhibited light green color. 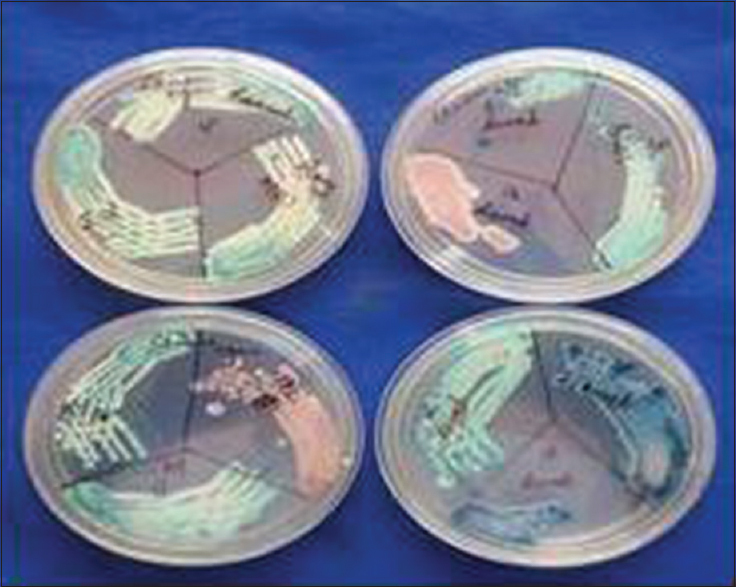 Along with colonies of C. albicans, steel-/blue-colored colonies of Candida tropicalis and light pink-colored colonies of Candida glabrata were observed and identified [Figure 2]. Fungal inoculum was prepared from overnight culture (24 h) on SDA. Colonies were directly suspended in saline to obtain turbidity comparable to that of 0.5 McFarland Standards (approximately 1.5 × 106 CFU/ml). Dried leaves and bracts of O. vulgare were procured and essential oil [Figure 3] was extracted using hydrodistillation method. The dry leaves were used in a Clevenger apparatus for 4 h to extract the oils with CHCl3, and then, it was dried over anhydrous sodium sulfate. The oil yield was stored in sealed amber-colored vial at 4°C until use. Antifungal activity of O. vulgare was determined by agar diffusion test. Modified Kirby–Baeur method was used. SDA plates were prepared according to the CLSI guidelines. These plates were then inoculated within 15 min of the preparation of the suspension so that the density does not change. The medium was inoculated by even streaking with the help of a sterile cotton wool swab. Six-millimeter wells were punched out on agar. These wells were then inoculated with 20 μl of the test material. The plates were incubated for 48 h at 37°C aerobically. After the incubation period, plates were removed and zones of inhibition were recorded. 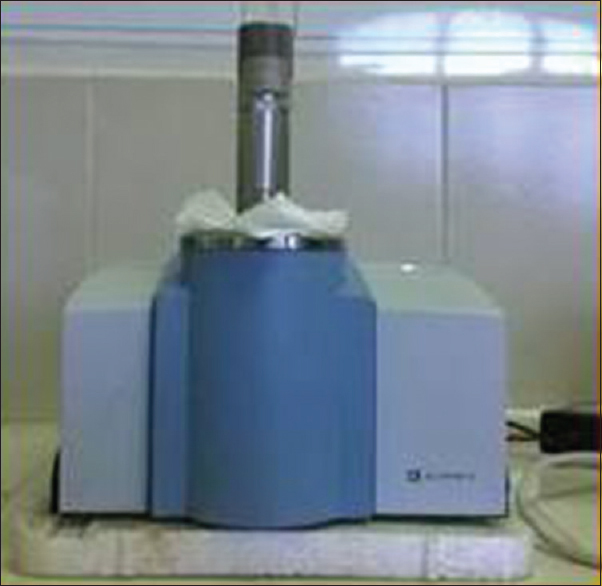 The diameter of zone of inhibition was measured to the nearest millimeter with a thin transparent millimeter scale. Nystatin (HiMedia, Mumbai), a proven antifungal agent, was taken as the control for the test material. The different extracts of O. vulgare were obtained from maceration method using petroleum ether, chloroform, ethyl acetate, n-butanol, and methanol [Figure 4]. The shade-dried powdered leaves (1 kg) of O. vulgare were soaked in ethanol (95%) for 4 days. After 4 days, the ethanolic layer was decanted off. The process was repeated for four times. The solvent from the total extract was distilled off, and the concentrate was evaporated on a water bath to a syrupy consistency and then evaporated to dryness. The extract (70 g) was suspended in distilled water (1500 ml) and then extracted successively with petroleum ether (60°C–80°C, 8 × 500 ml), chloroform (8 × 500 ml), ethyl acetate (8 × 500 ml), n-butanol (8 × 500 ml), and methanol (8 × 500 ml). All the fractions were then washed with distilled water (30 ml), dried over anhydrous sodium sulfate, and freed of solvent by distillation. The ethanolic extract was thus fractionated into petroleum ether soluble extract (13 g), chloroform soluble extract (10 g), ethyl acetate soluble extract (7 g), n-butanol soluble extract (6 g), and methanol soluble extract (23 g). The above extracts and the essential oil obtained through hydrodistillation method were tested and compared for their antifungal efficacy using well diffusion method against all the Candida species used in this study. Determining MIC and MFC of O. vulgare was done according to the CLSI guidelines. A pure culture of Candida spp. was grown in Sabouraud Dextrose Broth. The optical density of planktonic suspension of each culture was adjusted to 1.5 × 108 CFU/ml (McFarland 0.5 standard). A known concentration of the essential oil was serially diluted to two folds in sterile test tubes. After the experimental agent was diluted, a volume of the standardized inoculum equal to the volume of the diluted antimicrobial agent was added to each dilution tube, bringing the microbial concentration to approximately 500,000 cells/ml. Two control tubes were also included, one tube containing only the candidal culture which served as the positive control and other tube containing undiluted oil and the fungal culture which served as the negative control. The inoculated, serially diluted extract was incubated aerobically for 37°C for 18 h.
After incubation, the series of dilution tubes were observed for microbial growth, indicated by turbidity and/or a pellet of microorganisms in the bottom of the vessel. The last tube in the dilution series that did not demonstrate growth corresponds with the MIC of the antimicrobial agent. The MIC endpoint is the lowest concentration of the oil at which there is no visible growth in the tubes. The test tubes demonstrating no visible turbidity were subcultured to solid agar plates and MFC was determined by comparing the growth with the positive control. The MFC endpoint is defined as the lowest concentration of antimicrobial agent that kills >99.9% of the initial fungal population where no visible growth of the fungi was observed on the SDA plates. The tests were repeated in triplicates. IR spectroscopy method was used to identify the active functional group using Bruker Fourier transform infrared alpha model, Germany [Figure 6]. The transmitted light frequencies were recorded to obtain IR spectrum [Figure 7], and it was later compared with existing database for the presence of active groups. Agar well diffusion method was used to confirm the antifungal activity of the experimental herb. Authenticity of the test material was confirmed, as zone of inhibition was found to be 30 mm as compared to 22 mm of presently known antifungal agent nystatin. Results were tabulated and statistically analyzed using analysis of variance. None of the extracts from maceration technique showed zone of inhibition equivalent to zone of inhibition obtained through essential oil from hydrodistillation method (>30 mm). However, ethanol extract was the nearest and was efficient against only two species of Candida, that is, C. albicans, (10 mm) and C. tropicalis (14 mm). Ether (8 mm) and chloroform (10 mm) were effective only against C. tropicalis. n-butanol and methanol extracts were not effective against any Candida spp. The peaks show OH, CH, and C = C groups suggesting that carvacrol and/or related compounds can be present in the test material O. vulgare [Figure 7]. In this study, a novel medicinal plant O. vulgare was investigated for its antifungal activity against oral isolates of Candida, a unique research which has never been carried out in prosthodontics so far. O. vulgare has been extensively used as antimicrobial agent against Candida infections in animals and human beings. The antifungal effects of O. vulgare have been studied against Candida spp. isolated from systemic infections. However, on review of existing literature, no study was available where it has been used against isolates of Candida from the oral cavity of a denture wearer. Hence, this research was undertaken to explore the characteristics of O. vulgare for its possible antifungal activity against oral isolates of Candida spp. among patients with CADS. The clinical isolates of Candida used in our study were collected from patients affected with CADS and they were subjected to speciation procedure using Chromagar to identify the species responsible. It was observed that C. albicans was the highest followed by C. tropicalis and C. glabrata. The herb O. vulgare is rich in its antifungal activity which has been tried against clinical isolates from systemic diseases but never in oral isolates of Candida from denture wearers. Hence, it is justified to explore its possible antifungal activities against the microorganisms causing the disease in the denture wearing section of the population. It is a novel study of its kind in the literature. In this study, the antifungal effects of O. vulgare were assessed and efficacy of different extraction procedures was compared. The MIC and MFC of the herb were determined and the active functional component present in it also was identified. The antifungal activity of the experimental herb O. vulgare was confirmed by comparing it with the known antifungal agent like nystatin. Antifungal susceptibility testing was carried out using agar well diffusion method. Antifungal activity showed zone of inhibition as 30 mm for O. vulgare as compared to 22 mm for nystatin. This observation proved that the experimental herb O. vulgare is antifungal in nature and also it is superior in its activity when compared to nystatin. This result is in accordance with a similar study carried out by Stiles et al. where they observed a zone of inhibition for nystatin as 22–25 mm and that for O. vulgare was 40–45 mm. However, their study was on Candida isolates that were obtained from human stools. Cleff et al. studied the effect of O. vulgare against reference strains of Candida and found that all were susceptible to the essential oil of O. vulgare. Rosato et al. and Souza et al. evaluated and observed that the essential oil O. vulgare appeared to be effective, inhibiting all the Candida species in their study. We compared essential oil of O. vulgare obtained through hydrodistillation and the various extracts obtained through maceration method. It was observed that the antifungal activity of the essential oil obtained by hydrodistillation method was higher against the Candida species included in this study (zone of inhibition 30 ± 6 mm) [Table 1]. The extracts obtained through maceration technique did not show significant activity as compared to the essential oil. Among extracts, isolate of C. albicans showed susceptibility to only chloroform extract (10 mm). C. tropicalis showed mild susceptibility to petrol ether (7–8 mm), ethanol (12–14 mm), and chloroform (9–10 mm). C. glabrata did not show susceptibility to any of the extracts but was susceptible to the essential oil (36 ± 2 mm) [Table 1]. Hence, in the present study, the hydrodistillation method was proved to be better than maceration method for this novel herb. The hydrodistillation method for O. vulgare has been found to affect the quantity and quality of the essential oil obtained.,,, It has been observed by Kawase et al. that when compared to other techniques, the quantity of the essential oil and its phytochemicals may contain higher concentration of active components. This could be the reason for the difference where essential oil of O. vulgare from hydrodistillation process showed better efficacy than extracts from maceration among Candida species. However, in contrast, in a study by Malabadi and Kumar, the effect of extracts of four herbal plants on C. albicans were assessed. The extracts included acetone, hexane, dichloromethane, and methanol. They observed that methanol extracts exhibited maximum antifungal effect against these Candida species. The conflicting result observed by them as compared to our study could be due to the fact that the plants used were different from O. vulgare. Herbal plants have different range of activity depending on their composition of phytochemicals and pathogens exhibit varied response to the different products. After the antifungal action the essential oil was established, the research was continued to determine the MIC/MFC using serial dilution method. Serial dilution method for determination of MIC and MFC of the herbal oils have been implemented by Chitwood  and Johnson (2008) and it was found to be satisfactory to use in laboratories. Furthermore, according to the NCCLS standards, it is an efficient method to evaluate MIC/MFC of the antifungal agents. In the present study, the MIC of O. vulgare was found to be 0.024% and MFC was observed as 0.097% [Table 2] when it was tested against Candida. In a study by Manohar et al., the authors showed that O. vulgare can be fungicidal on C. albicans from mice with a MIC of 0.125% and MFC of 0.25%. In their study, they also observed that a daily dose of 1.0 μl of O. vulgare oil for 30 days can cure systemic candidiasis in mice. We compared the MIC/MFC of O. vulgare with existing value for fluconazole (0.25%) and it was observed that the MIC/MFC of O. vulgare (0.024% and 0.097%) was much lower. The MIC of O. vulgare (0.024%) which was determined in our study is in par with a study carried out by Hammer et al., wherein it was found to be 0.03% against C. albicans. In a study by Xu et al., MIC of fluconazole was found to be 125 times more in azole-resistant C. albicans than in susceptible C. albicans. The present experimental herb O. vulgare showed much lesser MIC/MFC as compared to fluconazole indicating that the herb can be effective even in a lower dose of MIC/MFC. In a comparative study by Lambert et al., they also observed that O. vulgare had a total inhibitory effect on the pathogens involved. However, their study was against bacteria and not the fungi affecting human beings. Comparison of the MIC/MFC results obtained in the present study with earlier studies available may not be reliable, as the composition of the essential oil used in the present study could be different from those used in the previous studies. It is known that the composition of an essential oil can vary according to the local climatic and environmental situations and the time of harvesting the herb., Furthermore, there are no comparable studies on effect of O. vulgare on human oral isolates from denture stomatitis patients, as the present study is the first of its kind in the literature. The major functional unit in O. vulgare is similar to carvacrol, which is a proven antifungal compound. In this preliminary investigation, O. vulgare was found to be possessing high anti-candidal properties against the tested oral isolates of Candida spp. However, the authors suggest further in-depth research into this novel herb before it can be considered for therapeutic purposes in the oral cavity. Prakash B, Shekar M, Maiti B, Karunasagar I, Padiyath S. Prevalence of Candida spp. Among healthy denture and nondenture wearers with respect to hygiene and age. J Indian Prosthodont Soc 2015;15:29-32. Cannon RD, Holmes AR, Mason AB, Monk BC. Oral Candida: Clearance, colonization, or candidiasis? J Dent Res 1995;74:1152-61. Dangi YS, Soni ML, Namdeo KP. Oral candidiasis: A review. Int J Pharm Pharm Sci 2010;2:36. Stiles JC, Sparks W, Ronzio RA. The inhibition of Candida albicans by oregano. J Appl Nutr 1995;47:1-8. Zunt SL. Oral candidiasis: Diagnosis and treatment. J Pract Hyg 2000;9:31-6. Webb BC, Thomas CJ, Willcox MD, Harty DW, Knox KW. Candida-associated denture stomatitis. Aetiology and management: A review. Part 3. Treatment of oral candidosis. Aust Dent J 1998;43:244-9. Jafari-Nodoushan AA, Kazemi A, Mirzaii F, Dehghani M. Fluconazole susceptibility profile of Candida isolates recovered from patients specimens admitted to yard central laboratory. Iran J Pharm Res 2008;7:69-75. Kontoyiannis DP, Lewis RE. Antifungal drug resistance of pathogenic fungi. Lancet 2002;359:1135-44. Sheehan DJ, Hitchcock CA, Sibley CM. Current and emerging azole antifungal agents. Clin Microbiol Rev 1999;12:40-79. Charlier C, Hart E, Lefort A, Ribaud P, Dromer F, Denning DW, et al. Fluconazole for the management of invasive candidiasis: Where do we stand after 15 years? J Antimicrob Chemother 2006;57:384-410. Martin MV. The use of fluconazole and itraconazole in the treatment of Candida albicans infections: A review. J Antimicrob Chemother 1999;44:429-37. Wu T, Wright K, Hurst SF, Morrison CJ. Enhanced extracellular production of aspartyl proteinase, a virulence factor, by C. albicans isolates following growth in sub inhibitory concentrations of fluconazole. 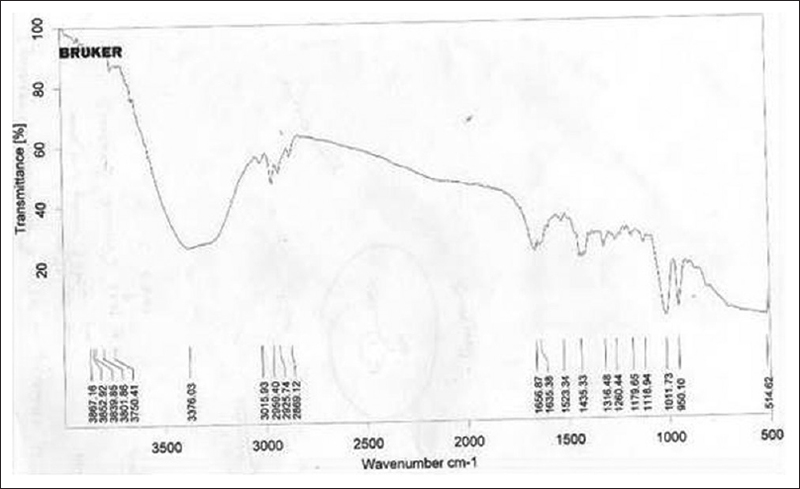 Antimicrob Agents Chemother 2000;44:1200-8. 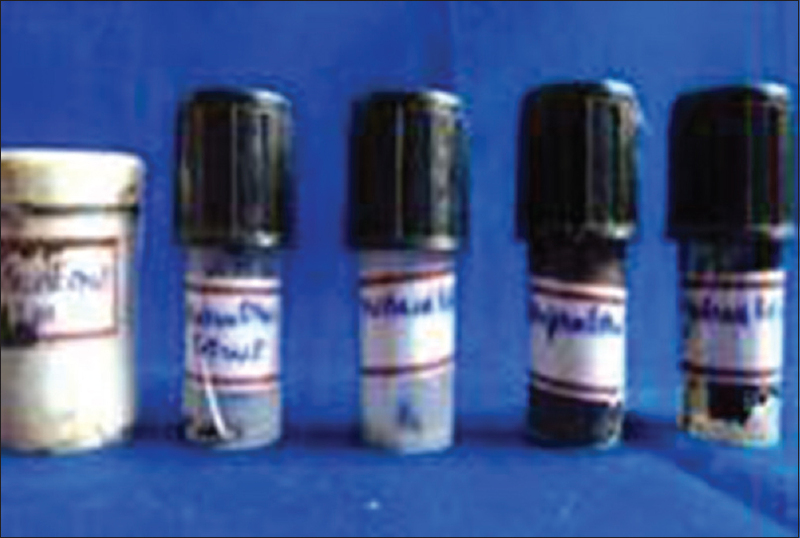 Nandagopal B, Sankar S, Ramamurthy M, Sathish S, Sridharan G. Could the products of Indian medicinal plants be the next alternative for the treatment of infections? Indian J Med Microbiol 2011;29:93-101. Aneja KR, Joshi R, Sharma C, Aneja A. Antimicrobial efficacy of fruit extracts of two Piper species against selected bacterial and oral fungal pathogens. Braz J Oral Sci 2010;9:421-5. Yu LH, Lu KQ, Shi GX, Yan YY, He L, Shao J, et al. Study on inhibitory effect of different extract fractions from longdan xiegan decoction on biofilms of Candida albicans. Zhongguo Zhong Yao Za Zhi 2014;39:1280-4. Tyagi SP, Sinha DJ, Garg P, Singh UP, Mishra CC, Nagpal R, et al. Comparison of antimicrobial efficacy of propolis, Morinda citrifolia, Azadirachta indica (Neem) and 5% sodium hypochlorite on Candida albicans biofilm formed on tooth substrate: An in vitro study. J Conserv Dent 2013;16:532-5. Manohar V, Ingram C, Gray J, Talpur NA, Echard BW, Bagchi D, et al. Antifungal activities of origanum oil against Candida albicans. Mol Cell Biochem 2001;228:111-7. Pozzatti P, Scheid LA, Spader TB, Atayde ML, Santurio JM, Alves SH, et al. In vitro activity of essential oils extracted from plants used as spices against fluconazole-resistant and fluconazole-susceptible Candida spp. Can J Microbiol 2008;54:950-6. Rex JH, Alexander BD, Andes D, Arthington-Skaggs BA, Brown SD, Chaturvedi V, et al. Reference Method for Broth Dilution Antifungal Susceptibility Testing of Yeasts; Approved Standard. M27-A3. 3rd ed., Vol. 28. India: Clinical Laboratory Standards Institute; 2008. p. 1-25. Dongari-Bagtzoglou A, Dwivedi P, Ioannidou E, Shaqman M, Hull D, Burleson J, et al. Oral Candida infection and colonization in solid organ transplant recipients. Oral Microbiol Immunol 2009;24:249-54. Olczak-Kowalczyk D, Pawłowska J, Garczewska B, Smirska E, Grenda R, Syczewska M, et al. Oral candidiasis in immunosuppressed children and young adults after liver or kidney transplantation. Pediatr Dent 2010;32:189-94. Scully C, el-Kabir M, Samaranayake LP. Candida and oral candidosis: A review. Crit Rev Oral Biol Med 1994;5:125-57. Cleff MB, Meinerz AR, Xavier M, Schuch LF, Schuch LF, Araújo Meireles MC, et al. In vitro activity of Origanum vulgare essential oil against Candida species. Braz J Microbiol 2010;41:116-23. Rosato A, Vitali C, Piarulli M, Mazzotta M, Argentieri MP, Mallamaci R, et al. In vitro synergic efficacy of the combination of nystatin with the essential oils of Origanum vulgare and Pelargonium graveolens against some Candida species. Phytomedicine 2009;16:972-5. Souza NA, Lima EO, Guedes DN, Pereira FO, Souza EL, Sousa FB. 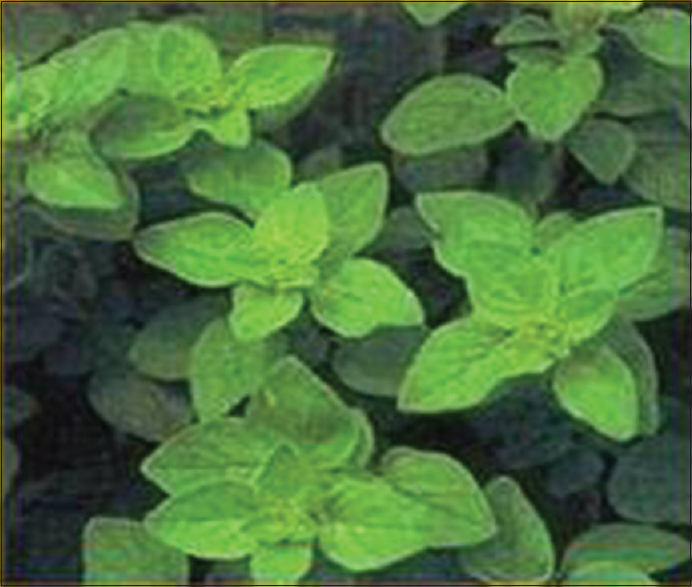 Efficacy of Origanum essential oils for inhibition of potentially pathogenic fungi. Braz J Pharm NAB Sci 2010;46:499-508. Meena AK, Kaur R, Singh B, Yadav AK, Singh U, Sachan A, et al. Review on antifungal activities of ayurvedic medicinal plants. Drug Invent Today 2009;2:146-8. Sadasivam S, Manickam A. Biochemical Methods. 3rd ed. India: New Age International (P) Ltd. Publishers; 2007. p. 29-30. Taxon: Origanum vulgare L. GRIN Taxonomy for Plants. United States Dept. of Agriculture. Web V1.10.1.5. https://npgsweb.ars-grin.gov>gringlobal.1994. [Last accessed on 2015 Jan 14]. Sookto T, Srithavaj T, Thaweboon S, Thaweboon B, Shrestha B.In vitro effects of Salvia officinalis L. Essential oil on Candida albicans. Asian Pac J Trop Biomed 2013;3:376-80. Kawase KY, Mothe CG, Furtado FA, Coelho GL. Changes in essential oil of Origanum vulgare L. affected by different extraction methods. Int J Res Rev Appl Sci 2013;14:238-47. Malabadi RB, Kumar SV. Assessment of antifungal activity of some medicinal plants. Int J Pharmacol 2007;3:499-504. Chitwood LA. Tube dilution antimicrobial susceptibility testing: Efficacy of a microtechnique applicable to diagnostic laboratories. Appl Microbiol 1969;17:707-9. Johnson EM. Issues in antifungal susceptibility testing. J Antimicrob Chemother 2008;61:i13-8. Pfaller MA, Barry AL. Evaluation of a novel colorimetric broth microdilution method for antifungal susceptibility testing of yeast isolates. J Clin Microbiol 1994;32:1992-6. Chandra J, Mukherjee PK, Leidich SD, Faddoul FF, Hoyer LL, Douglas LJ, et al. Antifungal resistance of candidal biofilms formed on denture acrylic in vitro. J Dent Res 2001;80:903-8. Xu J, Vilgalys R, Mitchell TG. Colony size can be used to determine the MIC of fluconazole for pathogenic yeasts. J Clin Microbiol 1998;36:2383-5. Lambert RJ, Skandamis PN, Coote PJ, Nychas GJ. A study of the minimum inhibitory concentration and mode of action of oregano essential oil, thymol and carvacrol. J Appl Microbiol 2001;91:453-62. Chauhan NK, Singh S, Haider SZ, Lohani H. Influence of phonological stages on yield and quality of oregano (Origanum vulgare L.) under the agroclimatic condition of doon valley (Uttarakhand). Short Commun 2013;75:489-93. Gaspar F, Leeke G. Essential oil from Origanum vulgare L. ssp. Virens (hoffm.et Link) letswaart: Content, composition and distribution within the bracts. J Essent Oil Res 2004;16:1-3. Available from: http://www.en.wikipedia.org/wiki/Carvacrol. [Last accessed on 2015 Feb 07]. De Martino L, De Feo V, Formisano C, Mignola E, Senatore F. Chemical composition and antimicrobial activity of the essential oils from three chemotypes of Origanum vulgare L. ssp. hirtum (Link) Ietswaart growing wild in Campania (Southern italy). Molecules 2009;14:2735-46. Veldhuizen EJ, Tjeerdsma-van Bokhoven JL, Zweijtzer C, Burt SA, Haagsman HP. Structural requirements for the antimicrobial activity of carvacrol. J Agric Food Chem 2006;54:1874-9. Ultee A, Bennik MH, Moezelaar R. The phenolic hydroxyl group of carvacrol is essential for action against the food-borne pathogen Bacillus cereus. Appl Environ Microbiol 2002;68:1561-8. Marcos-Arias C, Eraso E, Madariaga L, Quindós G.In vitro activities of natural products against oral Candida isolates from denture wearers. BMC Complement Altern Med 2011;11:119.